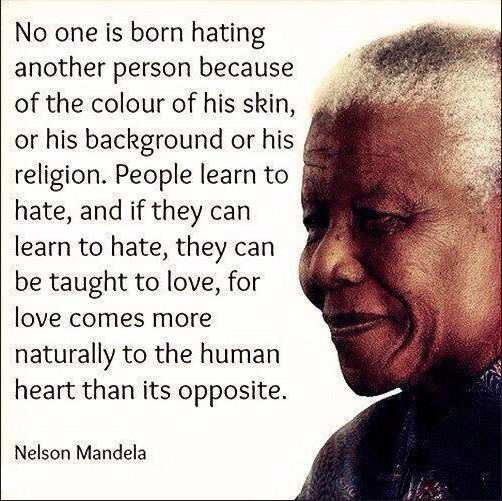 Like most I am grieving the loss of Nelson Mandela. A great man who led an extraordinary life has been taken from us. In the immediate aftermath of hearing this sad news I took to social media and posted some brief tributes on twitter and Facebook, yet Madiba’s passing moves me to write a longer personal piece. So in a departure for this blog I will step away this one time from my usual subjects of volunteering and travel. I want to be clear that this is no obituary, there will be plenty of those to read in the press, or view on screen. It is a personal reflection and somewhat somber celebration of the impact that he has had, in recent times, on my life and the choices I make. Mandela inspired me and in doing so helped me to realise the ability, that rests within each of us, to change. To change myself and my circumstances. By his own admission and insistence Mandela was no saint, though he may well be characterised as such in the media following his passing. As a freedom fighter he condoned violent resistance, a path that lead to lethal conflict. 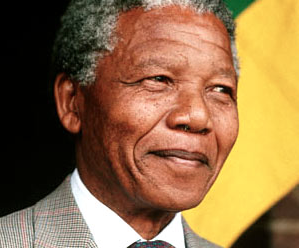 A qualified lawyer, Mandela had initially followed the pacifist resistance advocated by Gandhi, his legal mind meant an instinct to work within and use the law. It is an attrotious indictment on the inhuman South African apartheid regime; the equal of Nazi Germany, Stalin’s Soviet Union, Cambodia’s Khmer Rouge, to name but a few, that he and his comrades in the ANC were forced into armed struggle as he campaigned and fought for his people, the downtrodden and disenfranchised majority. So oppressive was apartheid, from the 1950’s onwards, that even the very limited freedoms enjoyed by blacks in South Africa were progressively curtailed as the white regime sought to extinguish the most basic rights of protest and dissent. It was this oppression that led to violent resistance. His leadership during this period meant he was a marked man. He was hounded and pursued, forced to go underground and live in ‘safe houses’ away from his family, as well as being arrested on numerous occasions prior to his incarceration for 27 years. Like many imprisoned freedom fighters he used his time in jail productively, he read widely on leadership and politics. He immersed himself and found strength in poetry as he continued a life long quest to educated himself. He had many reasons, more excuses than most of us would ever need, to detest the people who represented the apartheid regime, that held him captive and his people subjugated. Yet he didn’t take this easy option, instead he showed leadership, true courageous leadership and the greatest humility in ensuring that the political transition from oppression to democracy was not marked by an understandable retribution. The manner in which he embraced the Springbok jersey, a symbol of apartheid, during the Rugby World Cup, as a signal that he would be wiping the slate clean and moving on showed true forgiveness. This and countless other acts and character traits are why he is the closest to epitomise greatness in a fellow human being that I have seen. It is this generosity of human spirit and dignity that set Mandela apart. I will never forget the twinkle in his eyes and the sense of joy, that shone through on the occasions when I watched his appearances on TV. So how does all of this relate to me, the Wandering Volunteer? He was for me an inspirational figure and I strive to follow in his footsteps, but I hope it goes without saying that I do not equate myself to him. I’m nowhere close, measured in earth distances I’m continents away. I’m asked why I decided to volunteer? One of the main reasons why I have chosen to dedicate myself to volunteering, is that it forms part of my quest to become a better person and live a better life. I have not always been good. I look back on a past that holds certain regrets with events and actions, I’ve shaped, of which Im not proud. Yet these are things that I cannot change, for they are past. In accepting that, I owe it to myself to learn from past mistakes and wrongs. To show courage and strength, dignity and humility, resilience and determination. Above all to make a positive difference. Learning about Mandela’s life teaches me, and all who care to study it, that you can through your own determination change. You can change your circumstances and environment. Your character and outlook. Just as nothing lasts forever, so nothing is cast in stone. So while Madiba may have passed, his inspiration lives on for so many people. I am but one of those people whose life he touched, from a distance, so profoundly.